Starting your morning workshops and lectures at 10am comes with a few perks. A lie in for sure, plus some extra time in the morning to relax with a coffee in the heart space café. Perhaps some extra time to work on a project if you’re so inclined (which I rarely am, if I’m honest!). But most importantly, for me at least, I am able to go into those morning lectures awake and prepared, not half-asleep and rushed out the door as was the case so many days back when I was at school. We start all of our Mondays and Tuesdays off at 10am, Monday with a keynote lecture on the important topics of the week. This week we were focusing on walk cycles and character design, something the whole class had been incredibly excited to get started with. 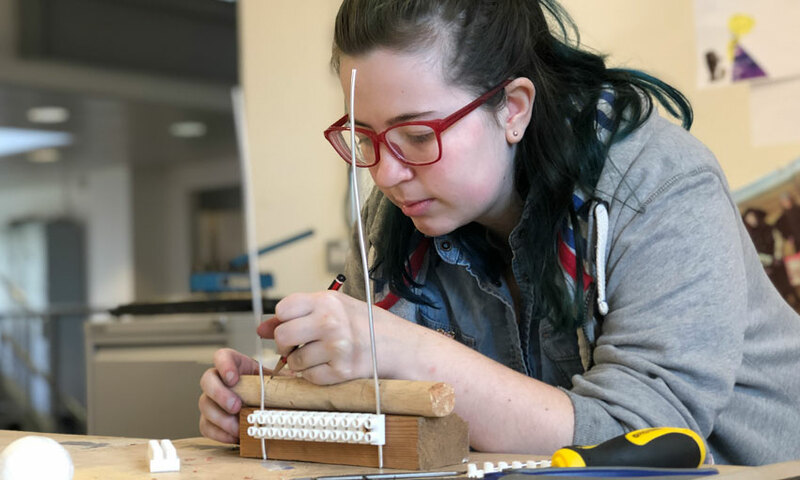 After the initial lecture we spend the rest of the day and Tuesday working though the tasks set to us, either working on the digital tablets or utilising the ‘break out spaces’ near the animation classrooms for some more physical explorations of the topic. 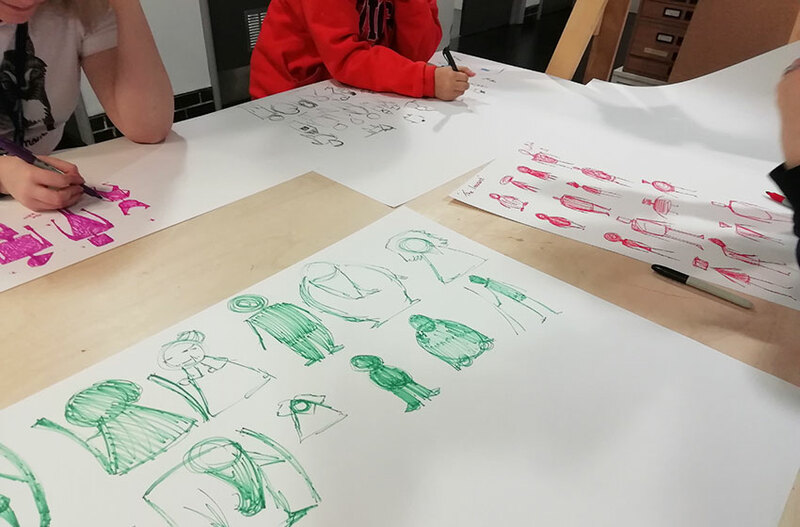 For example whilst looking at character design, we gathered in the break out space as a group to do some fast marker sketches of shapes and designs which we’ll be developing further in the weeks to come. Some quick marker sketches of ideas. 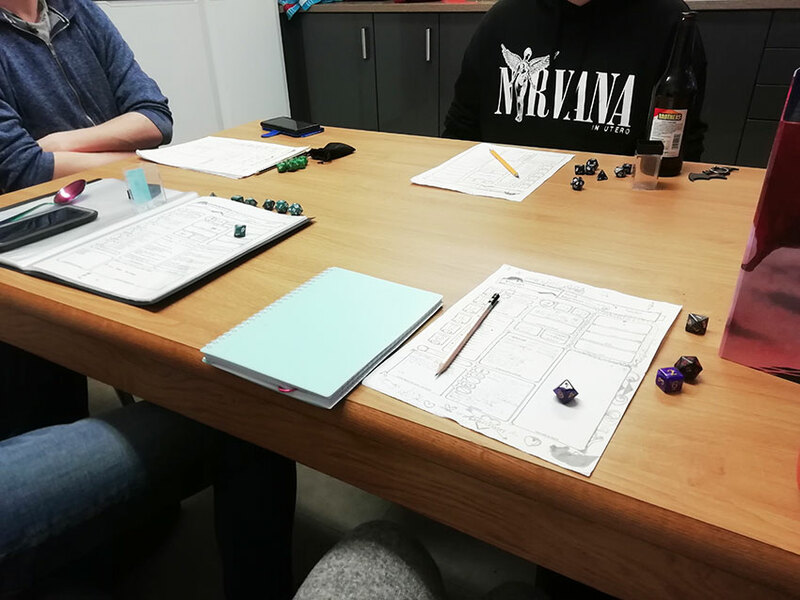 My Monday and Tuesday evenings are dedicated to playing tabletop games with a few close friends. It gives us an opportunity to unwind with some drinks and play some fun games, and because we all live close together in Plas Gwyn halls, we can meet in our flats and hang out in the comfort of our own kitchens and bedrooms. Wednesdays are classed as “self-led learning”. There are no compulsory classes that day – instead there are workshops and lectures which differ pretty much every week. Most Wednesdays consist of a life drawing workshop at this point in the year, which are really fun and useful to get involved in. Especially at the moment while we’re exploring walk cycles and the human body in motion. 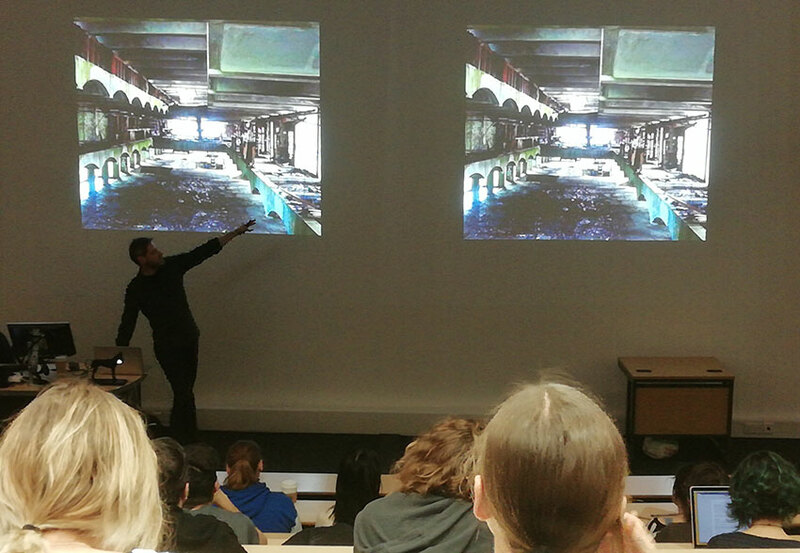 This week we were also incredibly lucky to have a keynote speech from Tristan Oliver, an amazing cinematographer that has worked on a whole host of film projects, notably with Wes Anderson on his stop motion features Fantastic Mr Fox and Isle of Dogs. Mr Oliver offered some great insights into the world of professional stop motion work. 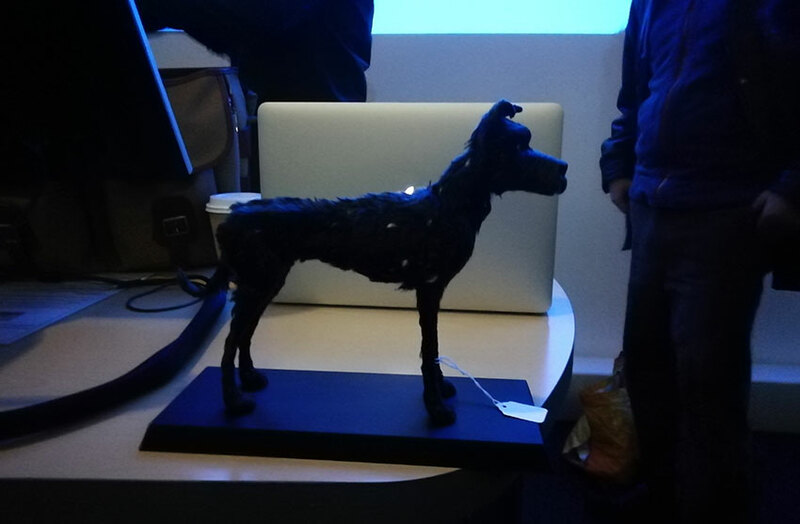 It was an opportunity to talk to someone working in a field we may not have considered – lighting stop motion features and cinematography – and there were some interesting and funny anecdotes from his time on set of films we all know and love. Thursdays are dedicated to our Constellation work – classes on topics outside of our chosen subject, which give us inspiration and further reading to draw from in our subject. It also teaches us research and essay writing skills which will benefit us when our dissertations come around in third year. This term I am in a constellation study group called Smells Like Teen Spirit which explores fashion and subcultures of different eras. It is quite far removed from what I get to study in my animation subject lectures, but that is why it’s a fun and important part of the course. It’s a refreshing change and it gives me the opportunity to explore a completely new and interesting topic. Friday is another day dedicated to ‘self-led learning’. 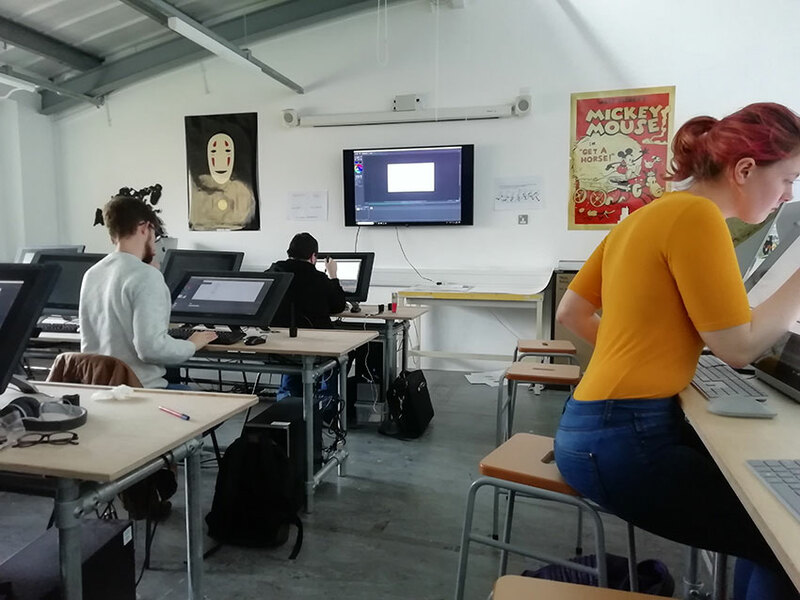 There are usually fewer workshops scheduled for a Friday, although we do meet as a class in the mornings for an animation ‘show and tell’, where we get to show everyone new animations we have found and enjoyed. Sometimes if it’s close to a holiday like Halloween or Christmas we have themed film days, which some very kind people sometimes provide snacks and drinks for. Our weeks, though full of workshops and lectures that we are able to get involved in, our pretty open ended and free, and rely a lot on self-led practice and motivation. Some weeks, for example, you may have other commitments that need to be taken care of, so you are free to use your self-led practice days to fulfil those commitments or work on personal projects. That is one of the biggest assets of this course, for me personally – the resources I need to fill my week with learning are there for me when I need them, but I am trusted enough to pick and choose what I need to do and when I need to do it for the vast majority of the week. This gives me the freedom to explore my other passions and work on my own projects outside of just my subject area.